In the early 1900s, Andre Citroen, a Jewish freemason, formed his own car manufacturing group. And in 1919, the first Citroën automobile was produced – the Type A. It was equipped with a 4-cylinder engine and was capable of a top speed of 65km/h. In 1922, Citroen enjoyed their first expedition across the Sahara desert in the Cìtroën-Kégresse. This expedition was to become the first of many famous crossings. In 1925, Andre Citroen introduced France’s first all-steel body along with the American style of mass-produced cars. The C-Series followed, which saw the introduction of a C6 six-cylinder automobile. In 1934, Citroën presented the revolutionary 7 cv “Tractìon Avant”. However, the costs of designing this car bankrupted Andre Citroen. Michelin then took over the firm, and between 1934 and 1940, the Traction Avant was produced, with 21 different versions of the car rolling off the production line and into the dealers yards. WWII interrupted progress, but after the war, Citroën resumed production with the 11CV and the 15CV. At the Paris Motor Show of 1949, Citroën launched the remarkable 2CV. The 15CV was equipped with hydropneumatic suspension. This gave an incredibly comfortable ride, and to this day, Citroen still uses the hydropneumatic suspension with great success, as it keeps the ride very level even when pushing the car over very undulating and uneven surfaces. Recently, the BBC’s Top Gear ran a clip of a Citroen that had the famous hydropneumatic suspension travelling over a very corrugated surface with a video camera attached to the bonnet. The result was a commendably smooth video clip. However, the result was vastly different when the video camera was attached to a late model BMW. The video clip was very much shaken about (remember this one when you head down to the dealers). 1955 saw Citroën presenting the car of the new era, the DS 19. The older “Traction” car remained in production until 1957. Various models of the DS were created in the decade ahead. In 1968, a weird and wonderful vehicle left the works, the plastic-bodied Méhari, which resembled a Jeep. However, the most noteworthy car of that year was the GS, with a flat-four engine. In 1969, the luxurious SM was produced with a DOHC Maserati V6 engine housed under the bonnet and was lovely to drive. In 1974, Citroen had become bankrupt, but the government arranged talks between Citroen and Peugeot concerning the amalgamation of the two companies. So in 1974, Peugeot purchased 38% of Citroen. Later, in 1976, Peugeot purchased a further 90% stake in Citroen and the companies then became PSA Peugeot Citroen. 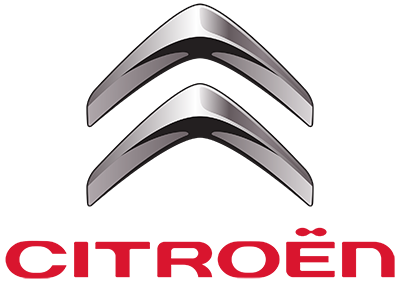 Currently, PSA is still developing cars for many areas of the world and Citroen delivers a wide variety of modern vehicles at affordable prices and is a mass producer of dependable, practical cars. Citroen also currently enjoys great success on the World Rally Car Championship taking first place on many of the world rally circuits. Citroen has its fair share of enthusiasts throughout Australia, ranging from basic Citroen car clubs (based in Sydney, Bowen Hills (Queensland) and other centres), the Victoria-based Classic Citroen Owners’ Club of Australia and the Aussie Frogs online forum and the 2CV specialist club called the Sydney Snails. Your local Citroen dealer may have more details.